Add this Black Glass Poison Bottle with Cork decoration to your Halloween display for an old age look. 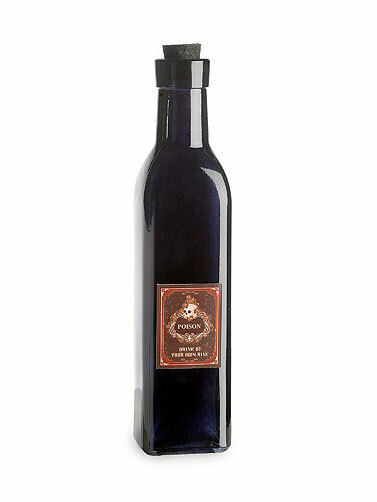 Set the bottle on a mantle or add it to a table display for spooky flair. 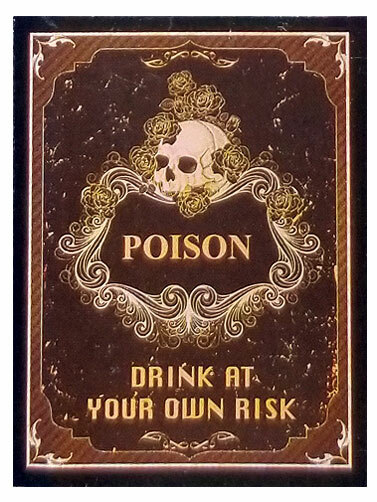 Black glass rectangular bottle with cork top features a poison label with a skull motif that reads "Poison Drink At Your Own Risk." For decorative use only. Black Glass Potion Bottle with Cork measures 1.97"W x 8.35"H.